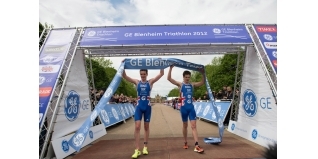 The GE Blenheim Triathlon this weekend saw a great return to racing from Alistair Brownlee, as along with brother Jonathan, they dominated the eighth running of the event. Check out our race report HERE, where the pairing cruised down the finish straight and crossed the line together. Rob Walker stepped into the interview role for us at Blenheim to chat to both Alistair and Jonathan before their race. Check out their thoughts on the race, but also on their preparation plans before their big date in London on 7th August. The GE Blenheim Triathlon will be shown on Channel 4 on the 24th June.